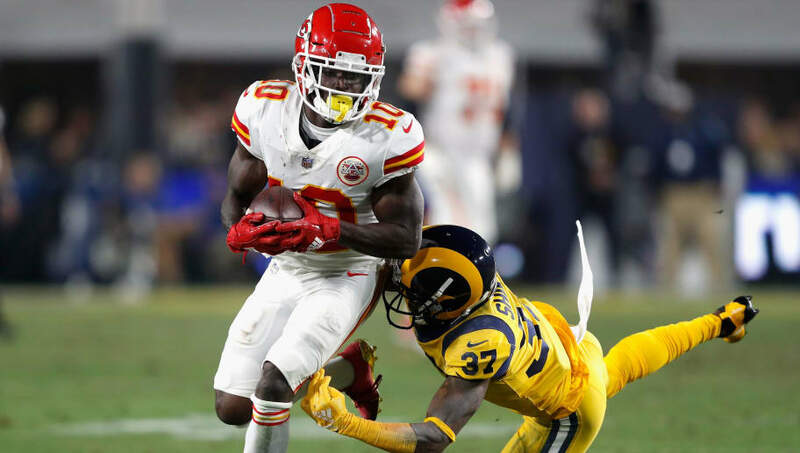 Kansas City Chiefs All-Pro wideout Tyreek Hill has found himself in the midst of an investigation for battery involving a juvenile (his son) and the team has remained relatively quiet on the matter until Tuesday. Head coach Andy Reid spoke to reporters and addressed what was going on. Chiefs coach Andy Reid says he has not been in touch with Tyreek Hill. He does not have a further statement on the matter. Hmmm. So the guy in charge hasn't contacted his star player and knows nothing about what's going on? Hill, of course, has a dark history pertaining to domestic violence, which is why the Chiefs were able to land a talent of his caliber in the fifth round of the 2016 ​NFL Draft. Since news of the investigation broke, there has been plenty of smoke regarding Kansas City looking to move on from Hill. According to Jay Glazer, Hill's name had reportedly been floated around in trade talks at the start of free agency. Losing Hill would be a big hit to KC's offense and the team's Super Bowl chances in 2019. The 25-year-old receiver is one of the most dynamic weapons the NFL has to offer with his blend of track speed and ability to catch in traffic. But with the baggage attached to three-time Pro Bowler, it appears that his future in Kansas City is very much up in the air.